There are many ideas and misconceptions about how God views us. Some take a doom and gloom view, and believe God sees us only as sinful filth. Others take an all-accepting and all-loving view and believe everyone – even unrepentant criminals – will go to Heaven. Most such views, however heretical, are rooted in at least a smidgeon of truth. But what’s the whole truth? What does the Bible say? In this series of letters to you, I will search the Scriptures for Bible verses expounding upon how God really sees us in all our weakness, fallibility, and salvation by grace through faith. “How precious is your steadfast love, O God! Like a mother bird, God tucks us under His wings. He keeps us warm, feeds us, protects us from the elements, and guards us from predators. Like a baby bird, we are hidden under His wings. Like a songbird, we sing for joy in the salvation He provides. God knows that – like a lonely sparrow or a desert owl – we suffer and are vulnerable when we are alone. He knows that we are easily ensnared, both by our own sin and by those who persecute us. He knows we are hunted and oppressed by evil people. He knows that our lives are delicate and brief. God pities us, is concerned about our circumstances, and comprehends our fear and frailty. His sovereign plan takes all this into account. God likens the Kingdom of Heaven, and Jesus Christ His Son, to a tree – a Tree of Life – that grows strong and mighty to shelter and protect those who take refuge in His branches. Isn’t that beautiful? We – My Darling Child – may take shelter in the grace and love of God, as a little bird takes shelter in the boughs of a mighty mountain-top tree. 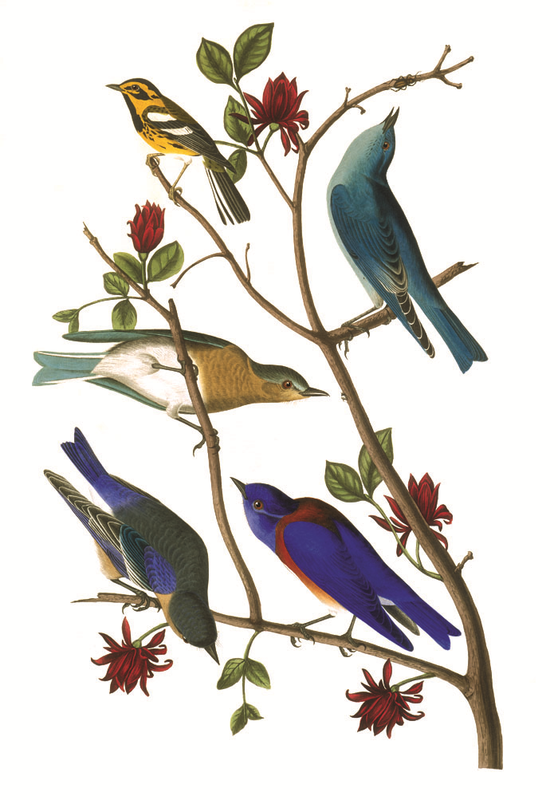 “Look at the birds of the air: they neither sow nor reap nor gather into barns, and yet your Heavenly Father feeds them. Are you not of more value than they? Sometimes when a baby bird gets sick, it falls – or is intentionally thrown by its mother – out of the nest. Jesus says that God takes note of each fallen sparrow. He cares about them and provides for them when their earthly mothers don’t or can’t. If God concerns himself with sick and dying baby birds, who’s own mothers don’t even want them around, then surely He concerns himself with every detail of our lives. 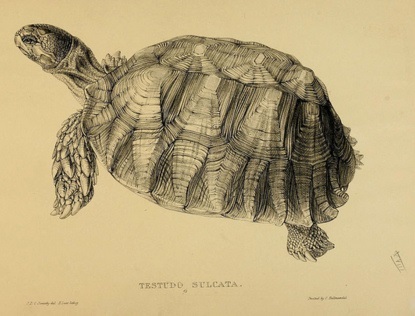 An illustration from the book, “Tortoises, Terrapins, and Turtles: Drawn from Life,” by James de Carle Sowerby and Edward Lear, published in 1872. The Bible is full of wonderful analogies and parables about animals. The writer of Proverbs 6 wants us to “go the the ant.” The prophet Isaiah laments that, “all we like sheep have gone astray.” Jesus declares that God sees even the smallest sparrow fall, so certainly He will care for His children whom He loves. Here is a little animal analogy of my own. The turtle, or tortoise, is a vulnerable creature. His soft head, wrinkly neck, fleshy legs, and stumpy tail are easily torn by cat’s claws, dog’s jaws, or a hungry hawk’s beak. But the turtle knows his weaknesses, and when he senses danger, he tucks his head and limbs deep into his shell. Once he’s holed up inside, not even the cleverest or strongest predators can get at him without a great deal of difficulty. Like the turtle, we all have our weak spots. Some of us are susceptible to flattery. Some to drinking. Others to lust or sexuality. The thing that makes us the strongest is not sweeping our weaknesses under the rug and pretending they don’t exist, but rather acknowledging our vulnerabilities so that we know when to tuck in and protect our extremities. When you are confronted with something you know is poking and prodding at your weak spot, enclose yourself in the Holy Spirit by burying yourself in prayer. Pray that God would strengthen you, protect you, defend you, and uphold you. Confess your weakness both to yourself and to Christ. Once you have done that – once your holed up in the bulwark of God’s Spirit – not even Satan himself will be able to pry you out again. Enter your email address to follow My Darling Child and receive notifications of new posts by email.